HIV-infected individuals beginning antiretroviral treatment are faced with several metabolic complications including central fat accumulation and severe weight increases. 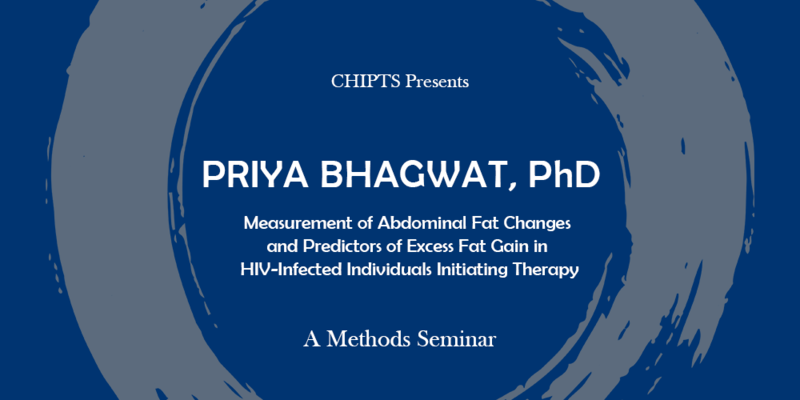 As the HIV-infected population is at an elevated risk for cardiovascular disease, monitoring abdominal fat changes as well as understanding predictors of fat gain are especially important. My research examines the validity of accessible measures of abdominal fat changes including waist circumference and self-reported changes, as well as risk factors of abdominal fat changes and severe weight gain after therapy initiation.